Best used for spray painting middle or high adhesives for surface finishing and middle coating. 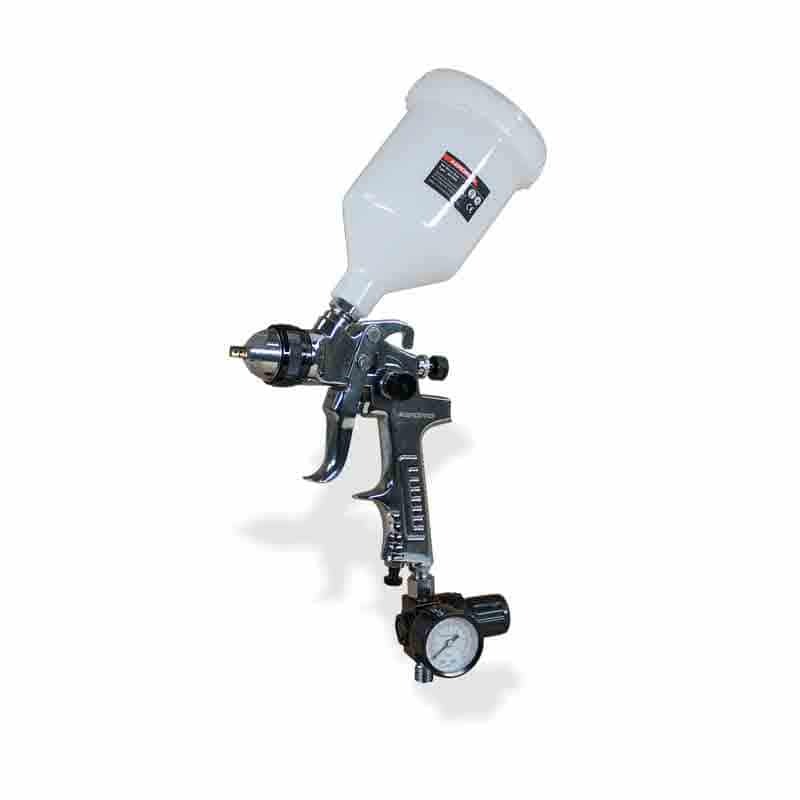 This gun includes adjustable fluid, pattern and air controls and is designed to provide equal atomization and particle size for all kinds of surface painting. It has a stainless steel needle and nozzle that accommodates a variety of coatings and has a precise air cap set. Its lightweight, ergonomic design and easy trigger pivot reduces operating fatigue. The tool is made of wear-resistant stainless steel and chrome plated aluminum alloy. It comes complete with a movable hanger and regulator.